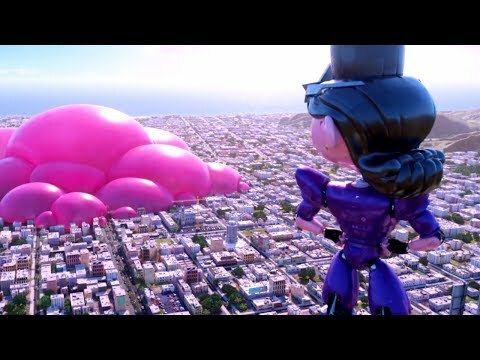 All the Despicable Me movies, even with their poop jokes and wacky villain fights, still have somewhat of a heart and emotion to the story. The first film did this best, since it showed the evil Gru becoming a good guy after he adopts children. The second one has Gru falling in love and marrying Lucy. This third one introduces the character of Dru, his long lost twin brother, in an attempt to make it have more emotional depth as the two must understand each others differences and get along as brothers. However, the character of Dru impacts the plot very little, and if I didn't know any better I would say that the writers of the script added him in much later (after getting the action scenes and toilet humor out of the way). 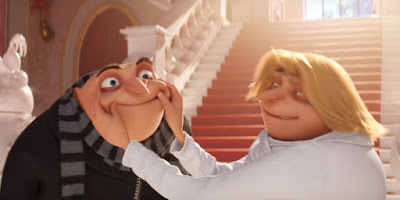 Dru impacts the plot so little that even after he works together with Gru to defeat the villain and seems to have bonded with him well, all of this progress is thrown away near the end in a cliffhanger ending as **SPOILER ALERT** Dru randomly decides to be evil again to "continue the family tradition". I see this ending as a bad excuse to make another sequel, and also so that Universal makes more money. They were so greedy that they just couldn't wrap up the story properly. Of course, they wanted to make more movies, sell more minion-themed products, and earn much more money. This, I think, is why I couldn't give the movie a higher rating. The plot is relatively simple so that little kids understand it easily, and the cliffhanger ending doesn't exactly make much sense. It attempted and failed to recapture the heart of the first two films. It may seem like I am going a bit too harsh on this movie, but don't get me wrong: I think the movie was great, and I highly recommend that everyone should watch it. It has hilarious humor, funny characters, and cute minions. I am going to summarize the plot of the movie in a way that avoids having too many spoilers. The story is simple, so there isn't much to spoil anyways. Gru and Lucy get fired from their jobs at the Anti-Villain League after they fail to capture the notorious villain Balthazar Bratt, who steals the world's largest diamond. Bratt is a former-child actor who starred in a TV show in the 80s where he was a villain, and after his show gets cancelled he seeks revenge on Hollywood and is obsessed with everything having to do with the 80s. His lair is shaped like a Rubiks cube, he wears shoulder pads, and dances to Michael Jackson songs. This allows for plenty of 80s humor and references throughout the movie. Gru tells the news of his firing to the minions. The minions want him to go back to being evil, but Gru insists that his life of crime would never continue. The minions get mad and abandon Gru. Only two minions stay with Gru. The rest of the minions go into a series of events that make them go to jail. This part of the story is highly irrelevant compared to the rest of the story, and could even be an animated short separate from the movie and it wouldn't make much of a difference. 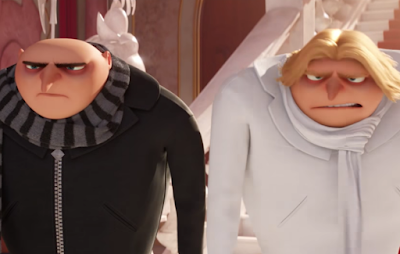 Gru receives news that his father has recently passed away and also that his brother Dru wants to meet with him. This confuses Gru, since he thought that his dad died when he was a baby and that he was an only child. He asks his mother if what he has heard was true, and she confirms it saying that she divorced long ago and she kept Gru while the father kept Dru. Dru is a rich villain, who looks similar to Gru except that he has long blond hair and wears white clothes. He wants to steal things with Gru, and Gru disagrees at first. 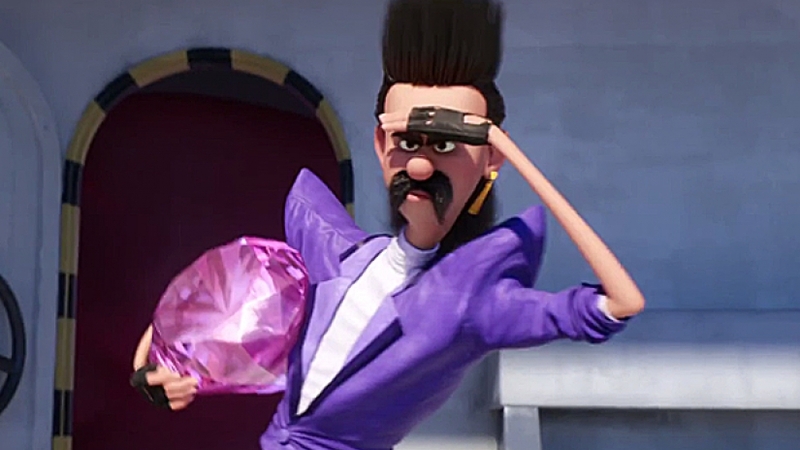 Soon, they go into a crime spree and end up stealing the diamond back from Balthazar Bratt. Bratt is even madder now. He will stop at nothing to get his revenge. 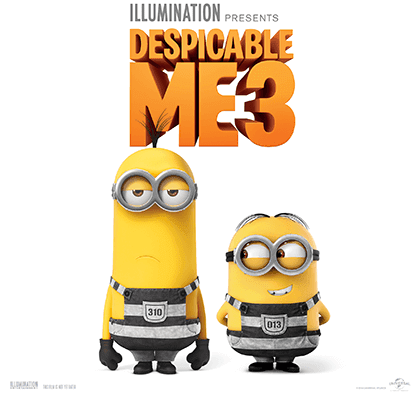 Gru and Dru must overcome their differences and work together if they are too defeat Bratt. Will Bratt be stopped once and for all? Or will the villain deep inside Gru cause their ultimate failure? Watch the movie to find out!